Golf view, beach sight and township atmosphere all in one you can find in New Kuta Condotel. 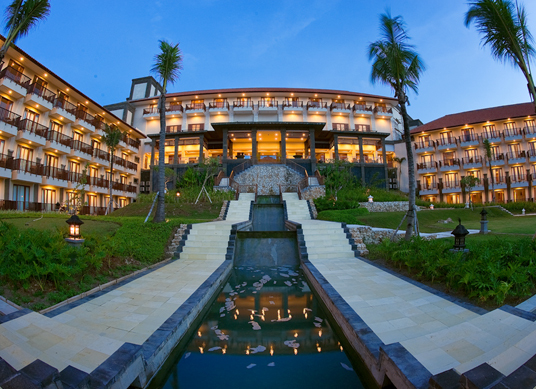 Located in Bali´s premiere area, Pecatu Indah Resort - Jimbaran. The hotel provides you international class facilities such as restaurant, café, swimming pool, spa & fitness center, function and meeting rooms, drug store and shopping arcades. Name whatever you need for your holiday satisfaction, you will find there.